In back-to-back games played over the course of two nights, UCLA claimed a decisive victory over Arizona, 3-2. WESTWOOD—The University of California Los Angeles’ (UCLA) women’s softball team faced off against the University of Arizona and was victorious, 3-2. The showdown occurred as part of the NCAA’s Softball Super Regionals, the precursor for the Women’s College World Series. The tournament began on Thursday, May 24 at UCLA’s Easton Stadium in Westwood, where the 3rd seeded Bruins met the 14th seeded Wildcats on the field for a best-of-three series. In back-to-back games played over the course of two nights, UCLA claimed a decisive victory over Arizona. At the beginning of the match-up, Arizona started strong with Alyssa Palomino managing to clench a two-run homer at the end of the first inning. The Wildcats were no match for the Bruins in regards to their stellar pitchers. Rachel Garcia, one of UCLA’s super star pitchers, managed to strike out 10 batters over the course of 7 innings. UCLA’s victories over the weekend, will take the women’s softball team to Oklahoma City to compete in the Women’s College World Series which kicks off on Thursday, May 31. They will take on Florida State. 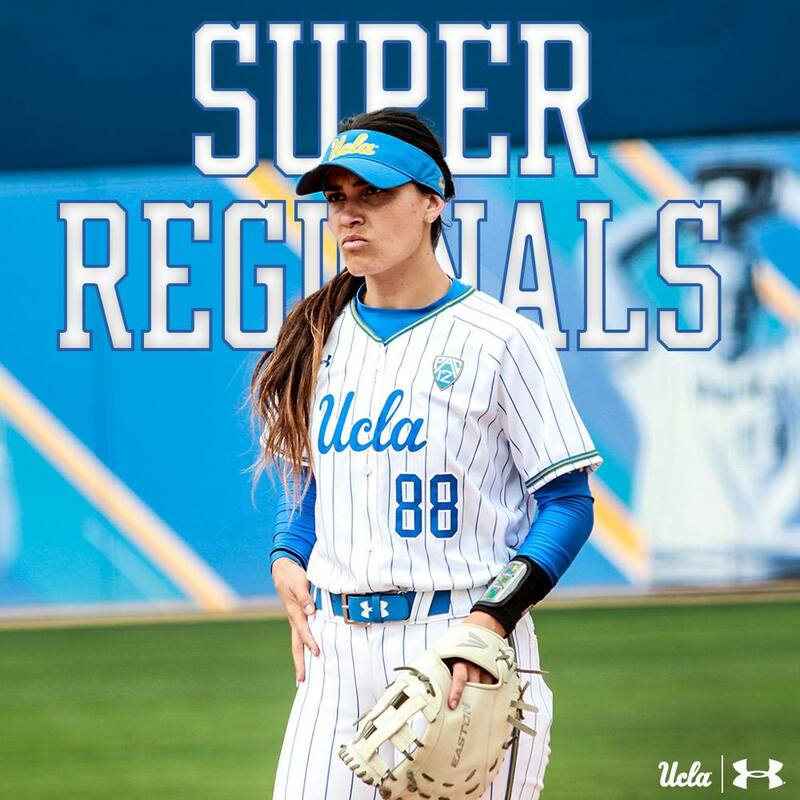 “The Burins have arrived,” tweeted the UCLA Softball team on May 28. This is the fourth year in a row that the Bruins have made it to the world series.